1. Players A are partners. They try to successfully pass the ball through the grid without it getting intercepted. 2. Players in the middle can intercept any ball. 3. 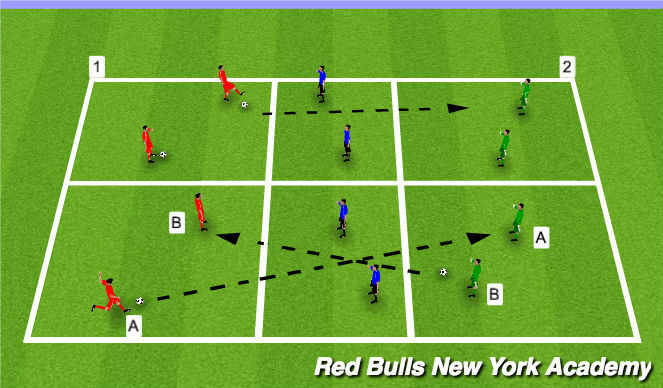 Players can move throughout their zone of the grid to try and find a clear passing lane through to their partner. 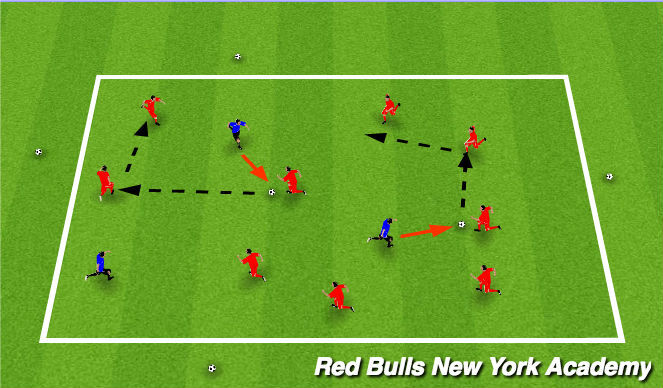 - Timing of long pass - Don&apos;t force it.